Residence Inn Los Angeles L.A. LIVE is in the heart of Los Angeles, within a 5-minute walk of Staples Center and Microsoft Theater. This hotel is 0.2 mi (0.4 km) from Los Angeles Convention Center and 1 mi (1.7 km) from Pershing Square. 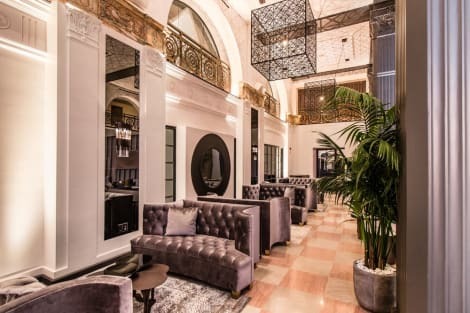 With a stay at The Mayfair Hotel Los Angeles, you'll be centrally located in Los Angeles, just a 5-minute walk from Good Samaritan Hospital and 13 minutes by foot from Los Angeles Convention Center. This historic hotel is 0.7 mi (1.2 km) from Microsoft Theater and 0.7 mi (1.2 km) from L.A. Live.